Physio Group Exercise is of great benefit to those that are 50 or older, as we mature maintaining our core strength is the foundation of a healthy body. Your core strength supports your spine whilst building up the smaller muscle groups is also of importance, because this removes some of the strain from your larger muscles. 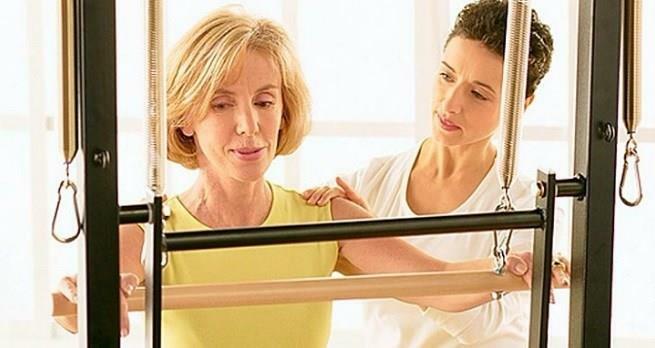 Physio Group Exercise also assists in the correction of poor posture, providing relief of issues that develop as we age, these include kyphosis (otherwise known as round back or hunchback), lordosis (frequently referred to as swayback or saddle back), lower back problems and frozen shoulders. It is a low impact form of exercise that accommodates a variety of different fitness levels. You can build up your routine as your core strength develops, strengthening your muscles, correcting your posture and improving your overall health and well being. Meaning that you will be ready to run around with your grandchildren! To get a Physio Group Exercise routine tailored to suit your individual needs visit any of Core Physio and Pilates Studio locations.